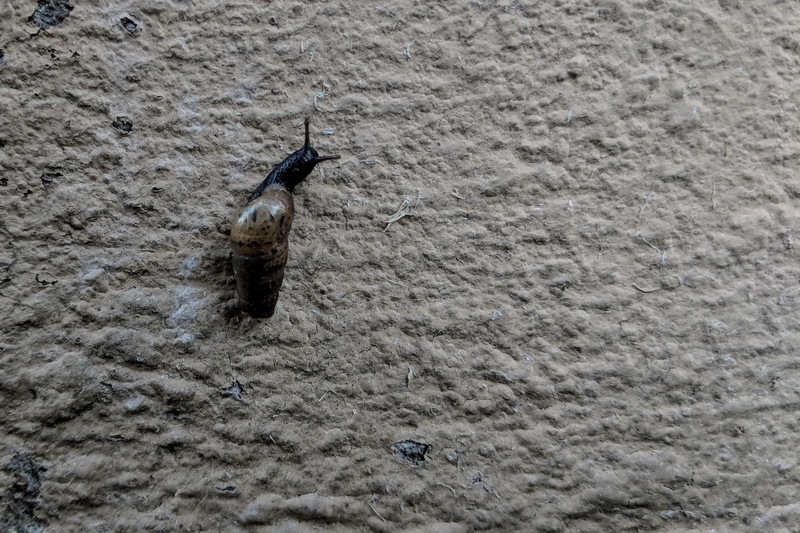 Yesterday, while petting Willow, I spotted a snail climbing a wall. Lucky for the critter that the Snowshoe cat wanted my attention and that the snail slogged too slowly to catch her interest. While patting with one hand, I pulled out Google Pixel 2 XL with the other and captured the Featured Image. Vitals: f/1.8, ISO129 1/125 sec, 4.459mm; 6:12 p.m.